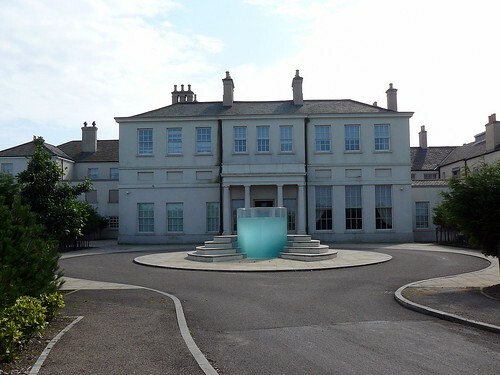 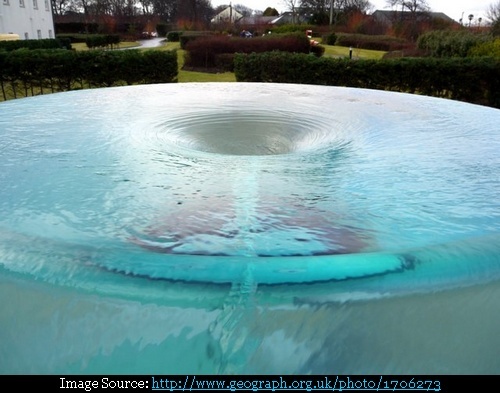 "Charybdis" an amazingly dynamic water sculpture by artist William Pye is installed in front of Seaham Hall hotel, Seaham, County Durham, UK. 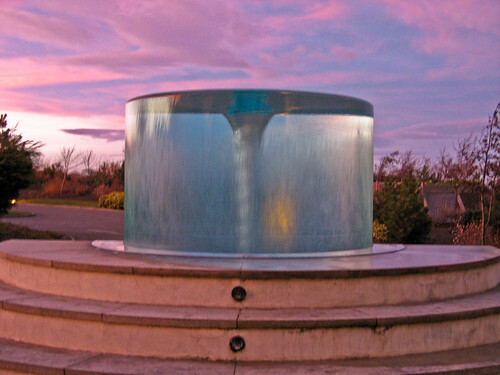 The sculpture installed in 2000 is named after Greek mythological figure Charybdis, a water nymph (Naiad), daughter of Poseidon and Gaia who had angered Zeus and he turned her into a whirlpool shaped monster whose vortex swallowed up ships. 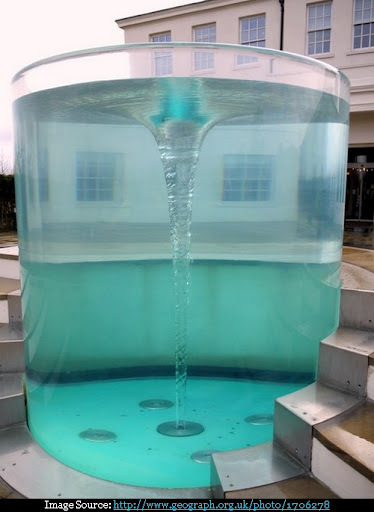 The sculpture is made of a huge transparent acrylic cylinder, wherein clear filtered high pressure water is pumped from the bottom, which combined with competing currents, generates a sustained air core vortex. 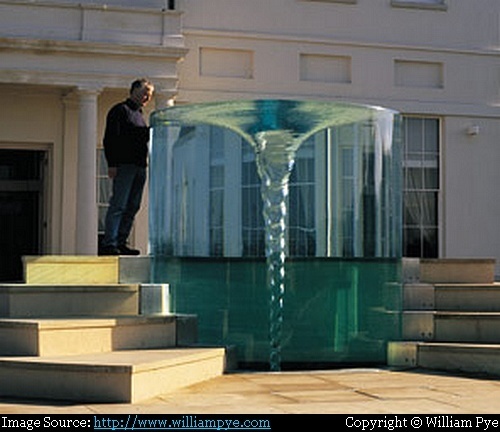 Steps around the cylinder allow the spectators to view the vortex from above. 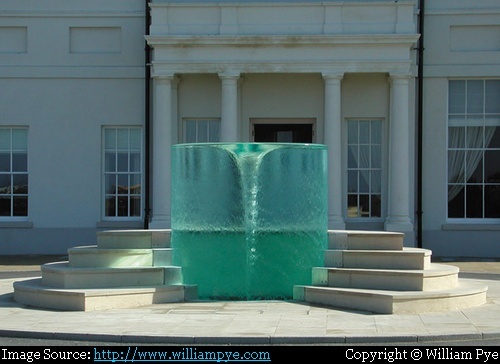 Credits: I am thankful to the artist/sculptor William Pye for allowing me use of images from his website williampye.com.